Tesco are due to open a new Express store in Rainworth on Friday 7th September providing 24 new jobs for local job seekers. The store is on the site of the former Robin Hood pub on Southwell Road East. Tesco Express in Rainworth intends to have an active role within the community and intends to celebrate it’s launch at 8am on Friday with donations to the Cornwater Club, providing lunch and activities for the elderly in the community, and Detached Youth Project which works with young people to encourage responsibility. The official opening ceremony will be at 10:30am on that morning when representatives for these local organisations will be cutting the ribbons and will receive a cheque for £250 each from Tesco. Opening hours for the store will be 6am until 11pm throughout the week. Along with the standard convenience store services Tesco Express will provide a free cash machine, self service check out, mobile phone top-up facility, National Lottery counter, bakery, beers, wines and spirits. There is also parking available to customers in front of the store. For general information and volunteer enquiries for the Cornwater Club call 01623 491159 or visit the charity shop in Queen Street. 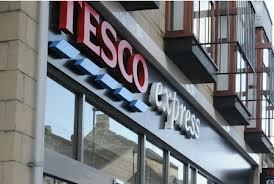 Click here to read more about Tesco jobs.